Welcome To Ninja Martial Arts! The Ninjas were one of the most deadly and smart people among all. They lived in in the mountains of Iga and Koga on Japan’s largest Island - Honshu. They were famous for infiltration, smuggling, warfare and for being clever as well. Although, they were poor peasants and even though their weapons may not be constructed of top quality materials but they were made quite smartly and intelligently. 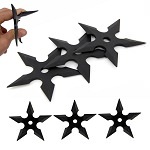 The Ninjas were very well trained in Ninja Martial Arts and their weapons were mainly made to outsmart the enemies and carry out acts stealthily. The weapons of these shadow warriors were also used to silence, kill, elude, escape from or wound an enemy. 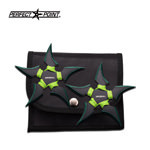 So, are you a fan of Ninja Martial Arts and want to practice the Ninja’s stealthy moves and carry their cleverly designed weapon? You are on the right page then. 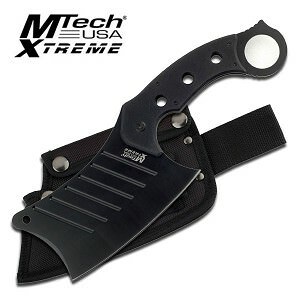 As we stock a wide selection of all Ninja Martial Arts weapons and provide them to you at the lowest possible rates. 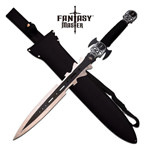 Our diverse collection of Ninja weapons include the very famous Ninja swords featuring straight blades and square guards. 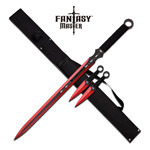 The blades are very fine and these battle ready swords are just like the ones Ninjas used to have. 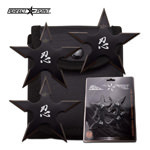 Then come our superb variety of Ninja stars also known as Shurikens They are so beautifully designed and efficient that they will help you nail your throwing game. 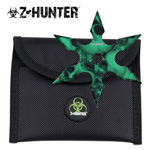 We also stock the most famous invention of feudal Japan. 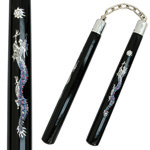 Yes, you are thinking right - Nunchucks. 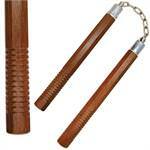 Our Nunchucks are quite strong and are available in amazing varieties of wood, plastic and metal. 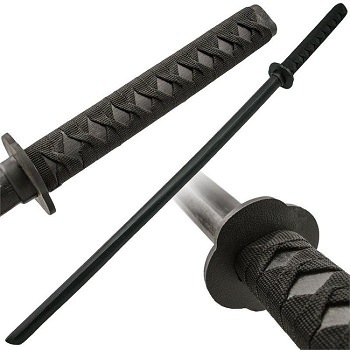 Our training swords are the perfect Bokken swords made up of wood that will help you master the act of swords play by keeping you safe and your partner as well. Other than the martial arts tools, we also stock a wide range of the most comfortable martial arts uniform to help you have an amazing martial arts experience. The karate pants and Keikogi we provide are made up of the finest materials to help you focus and stay comfortable in your attire. And the best thing is that we provide you all of this at the lowest possible rates. 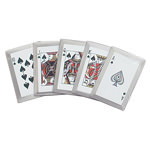 Yes, all of our products are available at very reasonable rates. 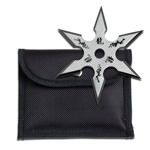 So, browse our collection of the best Ninja martial arts tools and make your purchase now to transcend into the Ninja world of your dreams. 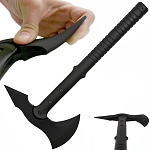 Wholesale Blades is the distributor of the best Ninja martial arts tools and accessories and brings awesome offers for its customers as well. 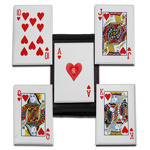 We provide the best wholesale and dropshipping services as we strive for 100% customer satisfaction. 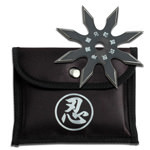 We are the most renowned wholesaler of Ninja martial arts accessories. 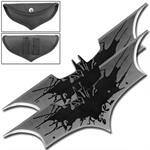 Also, if you buy six or more items of the same product from us then you can avail a FLAT 20% Off that item. This offer allows you to save so much money and you should avail it as soon as possible! We also have good news for those who are into dropshipping business. We have made dropshipping business more easier than ever by providing 100% FREE Dropshipping and Membership services. Yes, you heard it right. 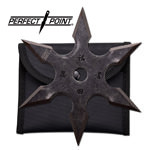 So, browse our collection of the Ninja martial arts variety and make your purchase from us now to avail awesome offers along with the fastest shipping of one business day only.